Is your air conditioner costing a bundle to keep your home cool and comfortable? Does it seem like your heater leaves certain areas of your home cold and clammy? Are you concerned about soaring humidity levels throughout your house? Our team of IAQ and HVAC specialists can help. 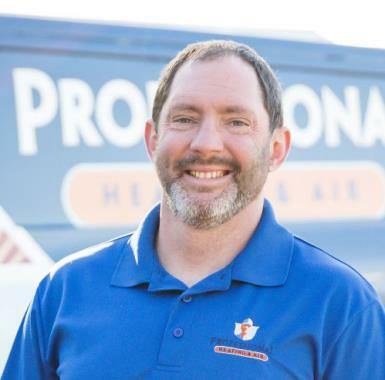 Call Professional Heating & Air Conditioning for the great heating, air conditioning and indoor air quality products and services you need in Livingston, LA. When summer comes to Louisiana, you need to know that your air conditioner can provide you with the efficient, reliable performance necessary to make it through the season comfortably. If your air conditioning system is not the right design for your home, or if it is not expertly installed, then there is just no way that you can hope to get this level of quality from its performance. Our Livingston air conditioning installation experts have everything they need to make sure that your new or replacement air conditioner is the exact right fit for your home and personal cooling habits. Call today for professional air conditioning services in Livingston, LA, including installation and replacement. Your air conditioner is really going to be put through the wringer this cooling season. If you hope to protect the condition of your air conditioning system, as well as the quality of its performance, you need to act quickly when problems develop. Contact us at the first sign of trouble exhibited by your air conditioning. Our Livingston air conditioning repair technicians will ensure that you get the dependable cooling performance you need. 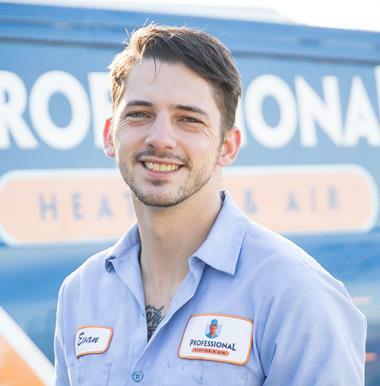 Plus, with routine air conditioning maintenance in Livingston, LA, you can get the most efficient and reliable operation that your air conditioner has to offer. Your heater does not endure the same amount of use as your air conditioner, perhaps, but it is every bit as important. Don’t let a lousy heating installation lead to a subpar performance from your system. Call our Livingston heating technicians to schedule your heating replacement or installation services, and know that your heater will be there for you when you need it most. We also provide service on thermostats and zone control systems. Give the heating experts at Professional Heating & Air a call to schedule heating services in Livingston, LA and the surrounding area. You cannot expect your heater to operate without any problems forever. When heating repair service is necessary, you need to act quickly. The longer you put off any necessary heating repair services, the more likely it becomes that your system will suffer serious damages. Call now, and remember to schedule routine heating maintenance with a member of our Livingston heating team. Commercial HVAC: You can count on our Livingston, LA commercial HVAC installation, repair and maintenance experts to complete your commercial HVAC services with the quality and attention to detail you deserve. Call today to learn more. Whatever commercial heating and air conditioning services you need, we can handle the job. Indoor Air Quality: Problems with indoor air quality can have just as much of an impact on your comfort as temperatures within your home. Let us help you boost indoor air quality. We want you to breathe the cleanest, purest air possible. Duct Cleaning: Are your air ducts full of dirt and debris? We can resolve that and any other ductwork problems you may have. Schedule professional duct cleaning in Livingston, LA with Professional Heating & Air Conditioning. Rheem split system restored to running condition. In Livingston getting air for some people that were flooded out of their homes.